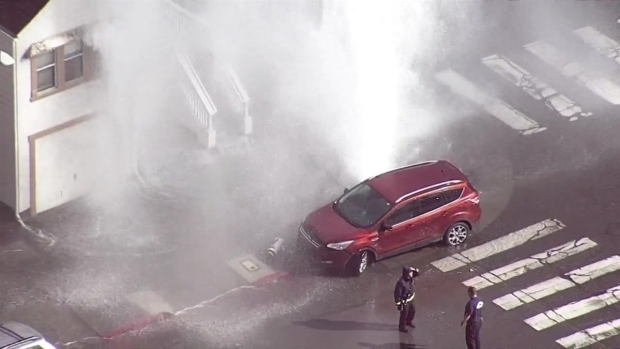 No injuries reported after a vehicle crashed into a hydrant in Oakland. Crews Wednesday evening shut off a hydrant that was taken out during a solo-vehicle crash in Oakland. The collision was reported at Alice and 7th streets. Emergency crews respond to a crash in Oakland. Water was seen shooting out of the hydrant for over 30 minutes while crews worked to move the vehicle and shut off water flow.